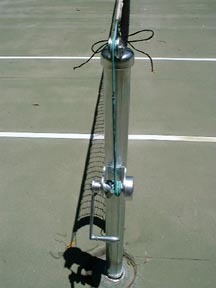 Tennis posts should support the net, look nice, and allow for ease of tennis net installation for many years. 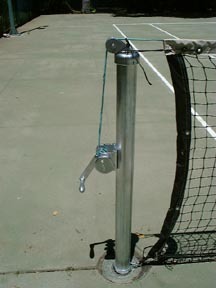 Posts sleeves are set 42'6" to 43' apart for a doubles court with an anchor for a center strap between them. Sleeves usually are about 30" deep and are set with a 2' x 2' filling of cement around to withstand the pressure a net requires. 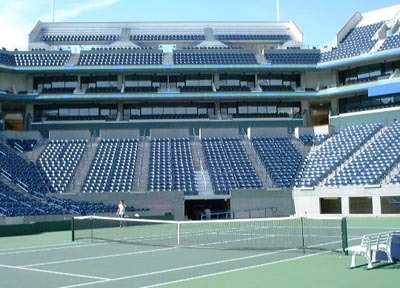 Clay courts often use different sleeves than a regular court. 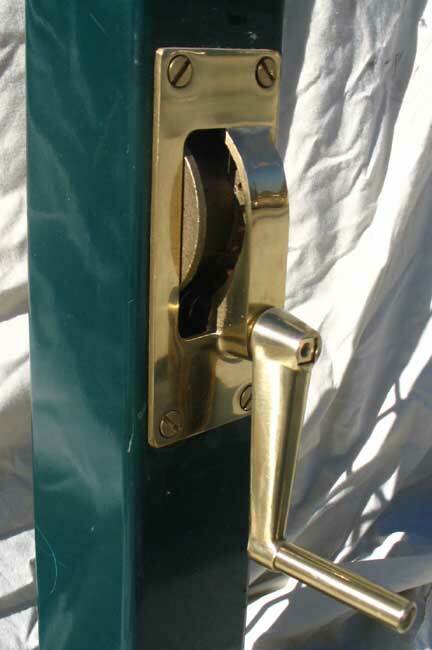 We carry the Edwards posts shown below. Stadium court at Indian Wells ready for play. Edwards classic posts set up for singles match play with an Edwards 40 LS net and NJP net sticks. 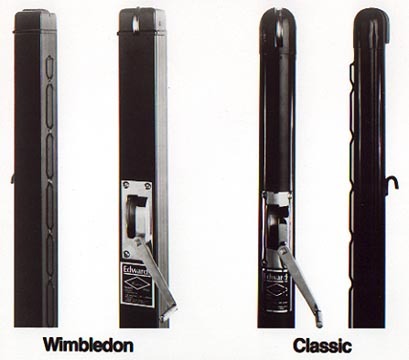 Edwards has a long tradition of post and net making - and are used at Wimbledon and other ATP Tour events. HAND MADE TENNIS POSTS: We can make posts in different ways to replace old posts or fit a sleeve already set. We have pulleys and gears that can handle a lot of stress and hold up over time. Ask for info about sizes and layout. We can modify posts and fix old posts as well. Prices as of 3/04/2018. Prices subject to change without notice so call to confirm a quote. 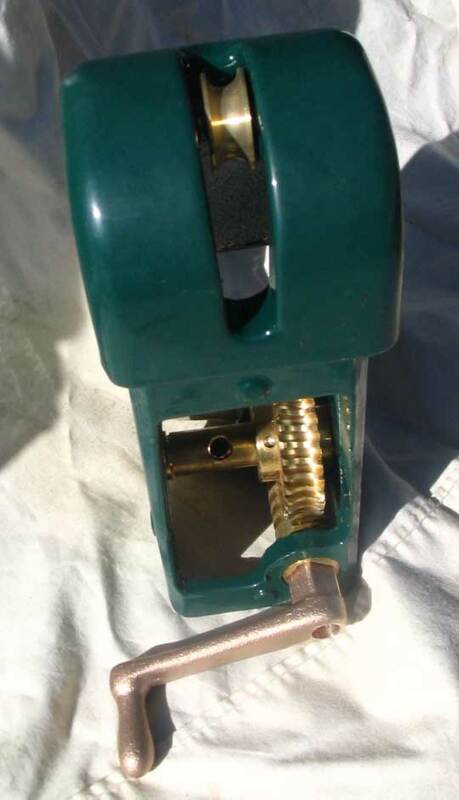 Many additional items and colors can be supplied but shown is what we always have in stock.